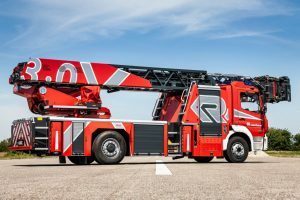 Rosenbauer has launched a new, premium aerial ladder – the L32A XS 3.0 – following two years of the firm’s current model achieving unprecedented demand. With Rosenbauer announcing record global sales of the L32A XS 2.0 in 2017-18, the latest version of the appliance is now available for fire and rescue services across the UK. Boasting an extended outreach, in-reach and rescue capability from the previous version, the appliance offers brigades a machine , which can get even closer to a structure, and reach more incident points, from a single set-up position. Simultaneously, the articulated ladder has been modified to require a distance of just 6.15m from a facade, making it an ideal solution where limited space is a consideration. Newly developed control technology now also provides a maximum cage loading of 500kg – the largest weighting capacity on the European market. This is an essential factor for modern day bariatric rescue challenges, faced by brigades globally. A new controller within the 3.0 provides 10 times the computing power of its predecessor model, meaning that it can be equipped with even more powerful technology, such as the latest floodlighting and camera systems. The UK’s fire and rescue services are no stranger to the Rosenbauer L32A XS turntable ladder, with units on duty throughout the UK as far as Scotland, down to Avon Fire and Rescue Service in the South West of England, and many in between. 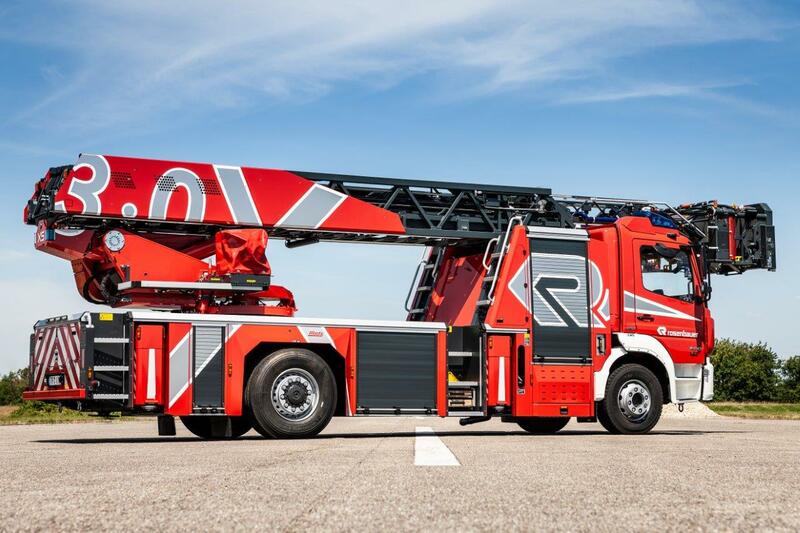 “Our turntable ladders have represented our class, reliability and durability amongst the UK fire and rescue services for decades, but particularly in the past five years where we have truly raised the bar of quality,” said Rosenbauer UK’s Managing Director, Oliver North. “With the development of the 3.0, our engineers in Karlsruhe have proven – emphatically – why we’re a global leader in the supply of turntable ladders, and I feel truly privileged to have the historic ‘Metz pedigree’ evolving our aerial fire fighting and rescue products as far as technology can increase performance.